Beige - peach half and half style saree designed using georgette fabric has got plain pallu net fabric horizontal panel embroidered work elephant motifs at upper lace border and geometrical stripes pattern shimmer work lower lace border. Available with similar design embroidered work georgette blouse piece in red and beige color. Best suited for festivals family functions and occasions. 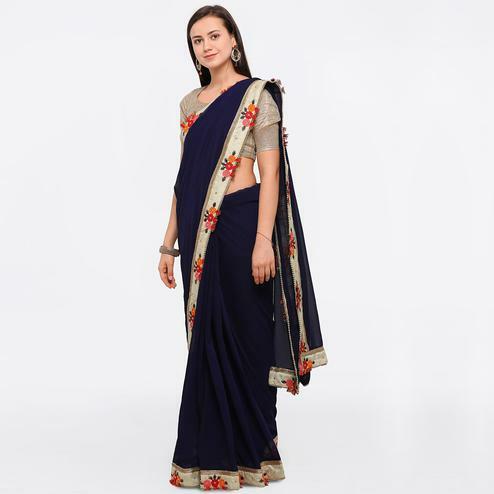 Team this saree with golden jewelry to make your look more traditional.